Have you ever lost Google reviews? If you have ever received a 5-star review for your Google My Business listing, you know how exhilarating it can be. On the flip side, if you’ve ever lost one of those reviews, you also know how frustrating it is. Several weeks ago, I received a call from one of our clients. He was discouraged. He had discovered that two of the Google reviews that were left by different clients had disappeared. He wanted to know what he could do. The same thing happened to two of our own Google reviews a while back. The reviews were from clients that we had worked for over the years. They didn’t appear to violate any of Google’s guidelines. It was a complete mystery as to why they disappeared. I put my Sherlock Holmes web cap on and went to work to find out what may have caused the problem. The first thing that was confirmed is that if you are missing a Google review, you are not alone. When you search for the phrase “missing Google reviews”, the results are filled with stories from others who are searching for answers. The most common answer to the question, “Why did my Google review disappear?”, is that Google’s spam detection algorithms must have been tripped and filtered out the review causing the disappearance. Google removes reviews that “exhibit spammy behavior.” The company has published a review content policy that spell out the rules of the game that must be followed. Although Google does not share all of the specifics about what signals they use in the review spam detection, we do have some clues. The following is a list of questions to ask if one of your reviews vanish that may shed light on why a Google’s spam detection filter was tripped. Was there a URL in the review? If the review had a URL to another website, this would violate Google’s review policy as advertising. Reviews with URLs are automatically marked as spam. Was there a phone number in the review? As with URLs in reviews, phone numbers will also raise red flags as advertising/spam. Duplicate reviews may have been the problem. Was the person who wrote the review a manager of your Google+ Page? Or, are you a manager of their Google+ Page? If the person who wrote the review was a manager of your Google+ page or you are a manager of their page, Google may see this as a conflict of interest and may filter out the review. I believe this is most likely what happened to one of the Google reviews that disappeared from our Google+ page. I am the manager of the client’s Pages, and he rarely signs into his profile to manage them. Does the person who wrote the review work for you? If the person who wrote the review works for you, Google sees this as a conflict of interest. It is a violation of Google’s review policies. Did the person who wrote the review use the same computer (same IP address) that you sign into to manage your local listing? If the person who left a review used the same computer – or even a different computer at the same location that has the same external IP address (an address used to identify your internet connection), the filter could have been tripped. Did the person who wrote the review have the same IP address as other users who left you reviews? Again, using the same external IP address to – even on different computers -may trip the spam filter. Did the person try to post the review at different times? If the person tried to post a review for you several times on different dates, the filter may have been tripped. For example, if a review on May 1st and it was filtered, then tried to leave another review on June 2nd. Did you receive a large number of reviews in a short amount of time? If you did receive a number of reviews in a short amount of time, the spam filter alarms may have gone off. Did all of the people that left a review arrive at your page from the same place? For example, a spam filter may have sprung if all the people clicked a link from the signature in one of your emails. Google most likely records the referring URL of how your visitors reach your page. If they all arrive from the same URL, they may not appear spontaneous and may be filtered. Do you have multiple Google+ pages with different locations? Did the person who wrote the review leave one on each page? Multiple reviews by the same person on different business locations may be the problem. Is the person who left the review new to Google+? If the person who wrote the review just set up a Google+ profile or they were not active after they set it up, this may cause a negative signal that set off the alarm for Google’s spam filters. Do you have an onsite review station at your business? For example, if a business has an iPad or computer in a convenient place for customers to write reviews, this would be a violation of Google’s review policy, “don’t set up review stations or kiosks at your place of business just to ask for reviews written at your place of business.” The IP address of each review is most likely recorded setting off the content policies’ violation whistle. Is Google the only place you have online reviews? If you only have a large number of reviews on Google, but not anywhere else on the Internet (Yelp, Merchant Circle, Facebook, etc), the spam police may be notified. Is the number of reviews about your business abnormally higher than the majority of businesses in the same industry? If you have a large number of reviews than the norm in your industry, Google’s spam filters may have been tripped. Did the person who left the review remove it? If a person removed the review or, if they deleted their Google profile, the review will disappear. This was the case of one of our client’s reviews. I contacted her to find out if she had removed it, and she had not. Then, she remembered that she had deleted her G+ profile. Why is Google So Strict With Reviews? The bottom line is that Google’s tough review filters are in place to weed out the spam. The goal is to provide “recommendations that are helpful and trustworthy.” Unfortunately, the review algorithm does catch some of the legitimate reviews. As a plan of action, whenever you receive notification that someone has left you a review, copy it and save it offline. If it is removed in the future, you can analyze why it may have been removed. You can also include it as a testimonial on your website. Having a Google review removed without explanation is frustrating. By putting on our Sherlock Holmes hats, we may be able to discover why. Have you ever had a Google review disappear? If so, please let me know if you were able to discover why in the comments below. Your input may be able to help others – including me. Google reviews can be a blessing or a curse. 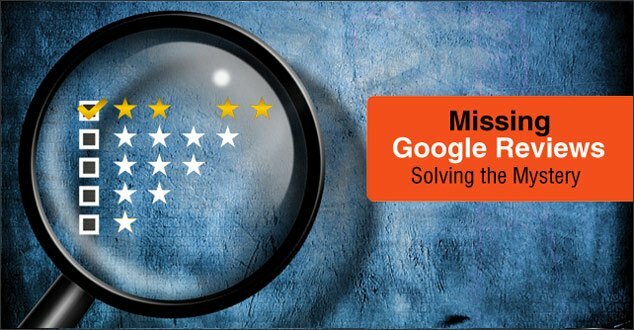 A five star rating from a happy customer is always welcomed, but what do you do if your company receives a negative Google review? Is there anything you can do to protect your company’s reputation? Great article and information. It makes sense what Google is trying to do and I can see how a good review might get removed. Back-up is key, just like everything else. Thanks for sharing. Thank you! It does make sense what Google is doing with reviews. You are right. Backing reviews up is golden. I appreciate you stopping by and your input. Another great post, Robin. I’m not overly familiar with Google reviews to be honest, although sounds like maybe I should be. Google seems to have the most stringent of all the online “rules” and although it makes sense, one wonders if their scrutiny is warranted. This is quite a list you came up with as to the “whys” behind disappearing google reviews and your idea to back them up…sounds like the best way to make sure they might be gone from google, but are still available to you to use for your business’s benefit. Thanks for in the insights you always share! You are very welcome! Google reviews do play a big role in local marketing. I’m sure that you have seen the orange stars next to Google reviews in some of the results when you search on Google. From the stories that I’ve heard about some abusing the reviews, I can understand why Google is so tough. Thank you for taking the time to read this and for commenting! It is frustrating to lose a review without explanation. Knowing the rules of the game is key. There is one report of a school that had a computer set up for students to write reviews. They didn’t realize that doing so was in direct violation of Google’s review policy. The IP address must of all the reviews must have set off the alarms and they were all filtered out. I don’t have any Google Reviews, Robin, but the information is going to be useful if I ever have a business where these reviews become important. On another note, if I see a review or recommendation related to my work, I always download a copy, whether it is on Amazon, LinkedIn or anywhere else as part of my brand management policy. Thanks for the tips. I’m happy to hear that this information may be useful if you do have a local business in the future. Those orange stars beneath a company’s name really do stand out in Google’s search results. It is an excellent idea that you are downloading copies of your recommendations. I appreciate you taking the time to read this and your comment. Have a wonderful week ahead! First of all, HAPPY ANNIVERSARY! I know what it’s like (and how difficult it is) to stay in business and I’m proud of you! I wish you many more years of success. Now, back to Google. This is very interesting stuff. The only issue I have with Google and their rules is #12. If a person is new to Google, how is the world is he supposed to become “not new” to Google if he doesn’t use Google? The same is true for Yelp. If you’re not a member of the “Yelp Family” (aka an old Yelp user) they won’t publish your review. But how do you become a member of the family if you don’t start somewhere? I’m going to go back to our google review and see if anything is missing. Yes, I’ll back them all up (and post them as testimonials on our website). Thanks for this terrific information!! Thank you so much! I appreciate your warm wishes. It has been a wonderful 15 years and I’m looking forward to many more. Wow – you sure did put on a Sherlock Holmes web cap!! All good info here, and good solutions as well to minimize damage if a review is removed. It is great to hear that you found this helpful. Yes, missing reviews can be quite a mystery. There was one story about a car dealership that had set up a computer for customers to write reviews at their dealership. They all disappeared. Knowing the rules of the game is a must in the review arena. Well Robin, you sure dd put on your detective hat. I suspect your results explaining ‘why’ was useful to yourself & others. The only reviews I have are on my Fb page, but this was good to know. One can only aim higher. I do hope that the results will be able to help others who face the same things. Because Google reviews appear to influence local search rankings, it is understandable why it is so frustrating when one – or more disappear. Thank you for stopping by and for your input on this. Thanks for the information Robin! I found it extremely valuable as I have clients asking me how to get more reviews and I always discourage mass marketing for them. I will be sharing this one!!! You are very welcome! It is great to hear that you have found this of value. I appreciate you sharing this as well! Wow Robin! Very thorough post. Thanks for all the great information here. I’m somewhat new to Google Reviews so here’s a question for you. Can you receive Google Review for a business that has no location? Like many entrepreneurs who work location independent from their laptops? Thank you and great question! Google reviews are for Google My Business Pages that have a location. Hopefully, Google will open the doors for those who don’t want their actual location published soon. Wow! Google is quite strict. Which is a good thing, unless you lose a review. I’ve never sought or gathered review on Google, so it’s not something I worry about, but this is incredibly valuable information shared. I know that research took some time, super sleuth! I appreciate all the time and effort! Google is strict with these reviews. I think it is a good thing too, except when you lose a review for no apparent reason. Once I started digging, I found so many stories of people who had no clue what happened. Although Google doesn’t reveal all, at least some clues have been uncovered. Thanks for sharing these very helpful tips when Google misplaces a review 🙂 Simple and easily implemented! Your posts are always very helpful. While I personally don’t have to worry about this – because I’ve never asked for Google reviews on my page; I have clients and friends who have and I think this may help them. I know I have to ask for reviews; I just don’t – it’s something I have to get over. I appreciate the tips you have here and will be including the information in my web marketing classes or keep as a reference if there are questions. Thank you! I’m glad that you like these tips on solving the mystery of missing Google reviews and appreciate you using them as a reference. Yes, 15 years! I think it is amazing, too. You’ve brought up a great point about Amazon review algorithms being stiff on spam. I’ve heard the same with Yelp reviews. Copying reviews is a great way to make sure that they are not completely lost if they do disappear. I have not had a Google review removed, but I have had an Amazon review removed as a consumer. I was asked to review the company not the product, but it was removed because it was a review of the company and not the product. These points are good to know as both a business and a consumer. It is great to hear that you have never had a Google review removed. Amazon sounds like they have a strict policy in place as well. You have brought up a great point about being aware as a consumer. Knowing what works and what might cause a review to be removed is definitely helpful when writing a review as well. Thank you for the great information Robin! I don’t have Google Reviews, but I always check reviews when I find some restaurants or accommodations. Reviews are great information, and they definitely influence my decision making. Thanks for sharing! You are most welcome! I’m a review reader as well and they do influence my decision making as well. I’m glad you found this helpful. Excellent post, really good! It’s a good thing that Google is tough and tows the line with rules about those abusing the reviews. Although different, this happens on Amazon as well. Will definitely keep this in mind going forward when we have a local business in the future. Thank you! I’m happy to hear that you found this helpful. I agree that it is a good thing that Google has tough rules about reviews to help keep the them legitimate. I’ve heard the same about Amazon reviews. Thank you for helping to spread the word. I hope you had a wonderful weekend! I am the Marketing Director for a large firm and I look over our reviews quite often (typically daily). I have found something odd and I wonder if you had seen or heard anything similar during your research. We had a customer about 3 or 4 months ago who posted a 5 star review. Then a few weeks later, another customer posted a 5 star review. As soon as the second one posted, the first disappeared. Then when a third came in about a month ago, the second disappeared and the same thing today. It is like Google is determined that we are only to have one 5-star review. It does not seem like a wave, since this is 4 reviews over a 3 or 4 month period (as you mention in #9 above). These were all done by the individuals, at their homes and/or offices, so they are not from the same location. None of them broke rules such as using names, and I have never seen reviews similar to these in other locations. The oddest part to me is that the reviews only disappear when a new one is posted. If a rule is broken why would they allow it to stay until a new one arrives? It certainly seems they are trying to prevent us from getting a better rating. Also, as a side note, I never see negative reviews disappear. I’m sorry to hear that. That is odd that your reviews keep disappearing when a new one is added. Google’s strict review filter must be filtering them out. I hope that you are able to find a solution to this soon. Thanks for providing this information. My small business is a school that has just started and depends upon reviews from my students. Facebook had started causing me problems because of it’s ‘Pay for people to see your posts’ policy so I started asking students to leave their reviews on my Google search results – now to find because 2 of them live in the same house, both reviews are taken off!!! You are most welcome. I appreciate you sharing your story. It is frustrating to have legitimate reviews removed from Google+. The filters that Google has in place are in place to weed out spam, but when genuine reviews are removed, it is alarming. We’ve just had all the reviews for our business disappear overnight (literally!) There were only 15, and they were definitely natural. It’s incredibly frustrating. I’m sorry to hear that your 15 natural reviews disappeared. Yes, I understand. it is incredibly frustrating. Please let me know if you are able to determine what happened. They all came back about 24 hours later — it must have been a glitch at Google’s end. Really weird, and very worrying for that space of time, as no reviews meant our local search results listings disappeared entirely. I’m glad to hear that your Google reviews are back! This is good to know, and may help others that are experiencing the same things. Thank you for letting me know! I am a new start up, and provide coaching services globally. My first Google review disappeared two days after posted. I never met the person who left the review personally, she is in an entirely different state and our session was over the phone. Google says just ask additional clients to leave reviews. Somehow Google was able to find the “once they are gone, we can’t get them back” reviews and re-post, although it took over a week to process completely. Review #2, a different client in an entirely different location left a review. I received notification. Then, due to a second session she felt inspired to leave a second review. All I wanted was a copy of the second one she left since I was unable to see either of them in their entirety; and to leave the first one posted. Well, no. Google decided to remove both of this client’s responses AND not to interact with me in a meaningful way that produced resolution to this problem. So, My first review was returned. My second was not. The third did not produce a written copy as suggested. No one ever called me back (although I have repeatedly). Thank you for sharing your experience with missing Google reviews. I know how frustrating it is to have a valid review disappear. I’m glad to hear that the first review was re-posted, and hope the the second and/or third will be as well. All my google reviews and pictures have disappeared completely. It’s been a week now. I’m sorry to hear that your Google reviews and photos have disappeared. Please let us know if you are able to solve this mystery. No resolution yet. Got a call from Google My Business and they have no clue what I’m talking about. I don’t get how a company like Google can “lose” data. I hope you are able to find out what happened. Please keep us updated. I sure wasn’t. They took down a total of two this last time. (They took down my first one only to put it back up after saying once they were down they were not able to recover them- so if you include it was 3 of 3). They took down my good reviews for NO reason. I have no copies. They were like “just have your next client leave a review”. Why would I do that again? I did that and they took down the next 2 (still a total of 3). I said I knew someone who was offering gifts for reviews from clients, they don’t care about that. That same person caused problems for someone else (competitor) and got their reviews taken down. Maybe that’s why mine were taken down. I don’t know. Their stock answer is the logarithm pulls them, they have no control. I’m over google reviews, and no longer read them on others sites now I know how corrupted it is. None of them hold any weight since I now know they are artificially skewed by google. Google is a great search engine. Using corrupted reviews to rank how listings come up is bogus. I went round and round with them to no avail. Now I have an auto-immune problem and can’t afford to be stressed because it literally makes me sick, so to hxxx with them. For clients who want to give me a review I ask them to post on Facebook or email me for my web-site. I’m so sorry to hear about the removal of your legitimate Google reviews. I understand how frustrating it is. I appreciate you sharing your story and wish you the best. If Google punishes a business for too many reviews too soon, then why is it that companies using apps to get reviews (from legitimate customers) and are getting 20+ a month are not being punished? In other words I don’t think too many reviews too soon is a problem…what do you think? Great question. I appreciate your input on this. 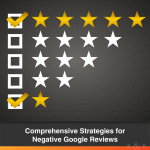 Getting too many reviews in a short amount of time is just one of the possible reasons why Google may remove a review. Is there any recourse to get reviews back. Google just removed 9 5star reviews. Frustrating for a small business trying to grow. I understand. It is extremely frustrating when 5-star reviews are removed by Google. I did hear from one business owner that reached out to Google after he had lost reviews and they were restored. However, I do not know how he contacted Google. I hope you are able to find a resolution.